Our mythologies have always incorporated different kinds of trees and their mythical properties. 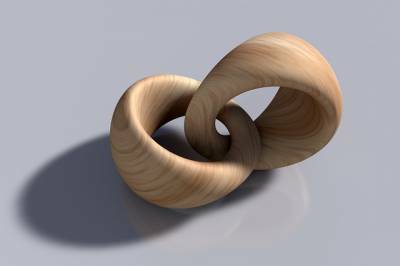 The vast number of trees that exist and their unique kinds of wood provides an unthinkable amount of combinations available to create wooden rings that will mesmerize people wherever you go. From simple solid creations to combinations of woods all in one ring and even complex designs for rings with a twist, there’s a wooden ring out there specifically suited for you. Customized rings are ordered daily from companies like Wooden Rings & Co who specialize in making these rings to specifications that’ll blow your mind. Clients can choose from various kinds of wood for their rings, especially if a certain kind of wood has spiritual or mythic properties. This choice could be influenced by past experiences with an old tree in your childhood yard perhaps, or by the believed properties that it may poses. Also referred to as ‘The Standing People’ by Native American traditions, different kinds of trees are attributed gifts and special lessons that they offer us. Birch trees are believed to be the ‘giving tree’ and they give us the essences of truth. Walnut trees teach us to be focused and to use our intelligence wisely. The mighty Oak tree gives us strength while Pine trees offer us peace. Maple trees teach us to be giving and Olive trees offer us insight and inspiration. Rosewood, of course, is the compassionate, loving heart tree and so forth… Keeping this in mind, it justifies how so many people desire such a special work of art. There are various ways of making these unique rings and many of the techniques depend on the type of wood you plan on using. Of course, there are countless of ways to transform a solid piece of wood into a beautifully carved and customized ring, especially when they consist out of different kinds of wood pressed together. Regardless of the technique used, you can be sure that a lot of time and effort goes into producing something so exceptional. Durability is always a factor to consider, as wood is not nearly as tough as the precious metals out there that are more commonly used to make rings. Owners of wooden rings have to be extra careful when working with abrasives, metals or harsh chemicals because wood can be every bit as delicate as the human skin in some ways. There are other advantages of owning a wooden ring, of course. Some kinds of wood are naturally anti-bacterial; the Federal Biological Research Centre for Agriculture and Forestry (BBA) and the German Institute for Food Technology have shown that various kinds of wood have different interactions with bacteria, and pathogens that cause fungal infections can be absorbed and destroyed by certain hardwood like pine. “Certain sorts of wood, pine in particular but also oak and larch, kill bacteria off. The anti-bacterial effect can be observed both on the surface and inside the wood itself in equal measure”, explained Dr. Ing. Helmut Steinkamp, project manager at the German Institute for Food Technology. Wooden rings are a quality product that cannot be mass produced in the same scale as gold, silver or platinum ones, so if you want to own a ring that is 100% unique or spoil a loved one with a gift that entailed some thought and was made with the greatest care, your first choice should be a wooden ring. Not only do the companies that make these works of art use renewable resources, they don’t have a fraction of the impact on the environment as mining companies do to extract precious metals for mass produced rings and jewelry. Owning a wooden ring means owning a piece of a tree that was once living a thriving somewhere, converting the sun’s energy to grow and flourish, which means, essentially, that you’d have the sun’s awesome power around your finger. Looking at it that way, your decision to buy a wooden ring is a celebration of life and nature, carved from wood that has been on a miraculous journey on this planet, from being a vulnerable seedling to an unyielding tree that stood strong in the natural elements out there. The wood that your ring was made of could have traveled across oceans to find itself on your finger, bringing its story with it and allowing you to take it on a further journey with you, wherever you go. If you love nature and want to carry around a reminder of the beauty around you, this is certainly something to consider. You never know how much you’ll love your ring until you own one for yourself. 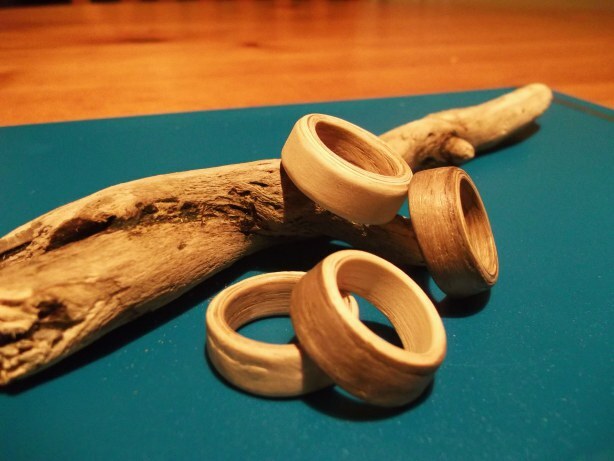 Another thing you might not have known about wooden rings is how affordable they can be; many manufacturers use inexpensive wood and basic techniques that cut out expensive labour costs. 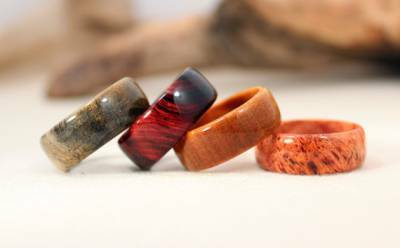 Some locals in South Africa have mastered the art of making beautiful rings out of all kinds of wood that won’t cost you an arm and a leg. If you’re looking for a more elaborate design with exclusive wood for a special occasion, you’ll most likely have to look into ordering one online that will be custom made to your specifications. These rings are not cheap, but they’re still nothing compared to the prices of traditional silver and golden rings with diamonds or other gemstones. Even though the custom made wooden rings might not last forever, the way that they are crafted makes them remarkably durable. And if you’re looking for an affordable ring but you’re prone to allergic reactions when wearing the cheaper kinds of metals out there, a wooden ring is just the thing for you! You may not know this either, but the latest trends include wooden earrings and even cufflinks as well. So join the newest trends in jewelry and order your very own custom made wooden ring at Wooden Rings & Co today.